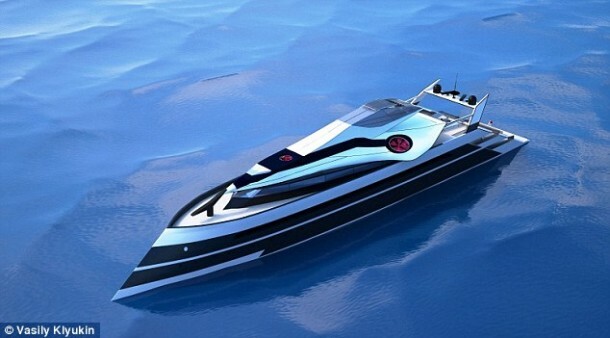 Thanks to the considerable interest in luxury yachts from Russian Oligarchs and Middle Eastern princes, the industry is growing and attracting insane designs all the time. Check out this latest baby from a Russian designer Vasily Klyukin who must have been crazy thinking it would work. 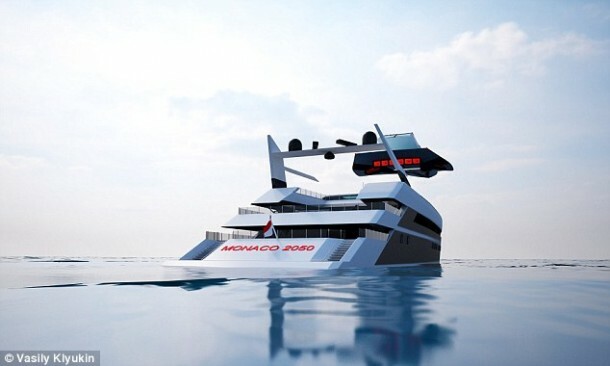 The design envisages a futuristic yacht on which a vertical take-off Jet can be placed. 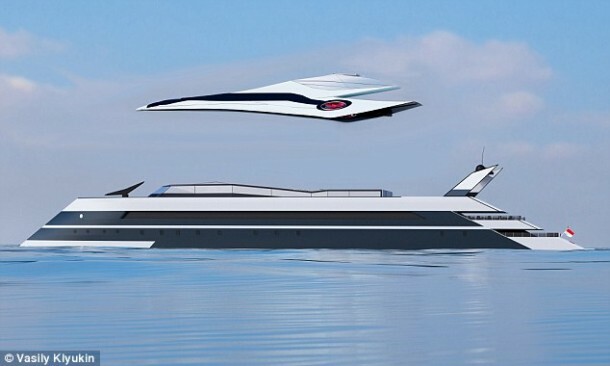 He decided to call it Monaco 2050 as he hopes that the yacht will be unveiled at the popular yacht anchorage of Monaco by 2050. He wanted to incorporate an independent aircraft on top because that was the next big thing expected from his crazy design. What’s interesting is that Klyukin claims that the plane is not entirely a separate entity. 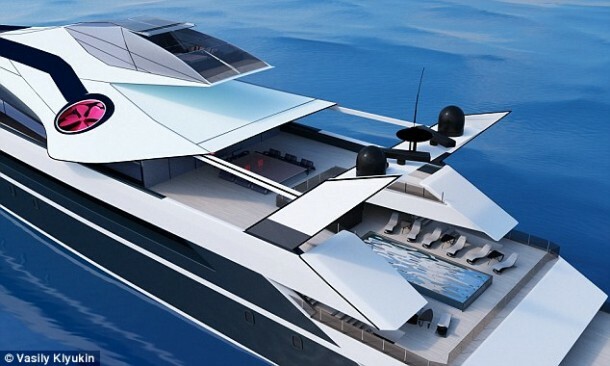 But, it is a part of the upper deck of the yacht, and it doesn’t feel like you have moved into a different craft when you move into it. But why did he use the jet? Wouldn’t a simple helicopter suffice? Well, the limited range and speed of the choppers had been an issue for the mega rich since forever. They took hours of long flight to reach the shore. This jet is futuristic, and it will be capable of crossing the sound barrier. 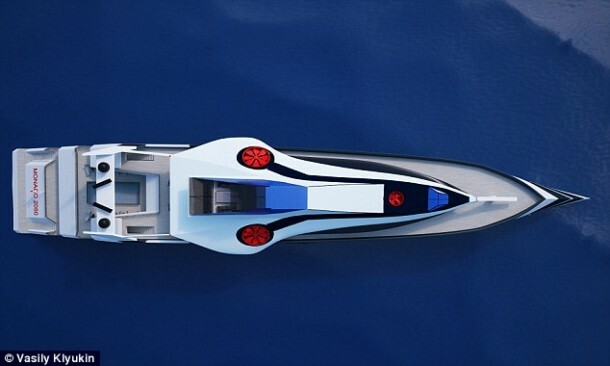 It may not see the light of the day, but I like where yachts are heading.